Whether you’re a makeup newbie or a seasoned pro, it’s always helpful to brush up on your beauty education from time to time. Knowing the different hair types and purposes of makeup brushes is integral to your success as an artist. It’s not always about the product – choosing the right brushes for the job can make all the difference. The debate on which brushes are best is common, but the truth is that both synthetic and natural brushes play important roles in makeup application. 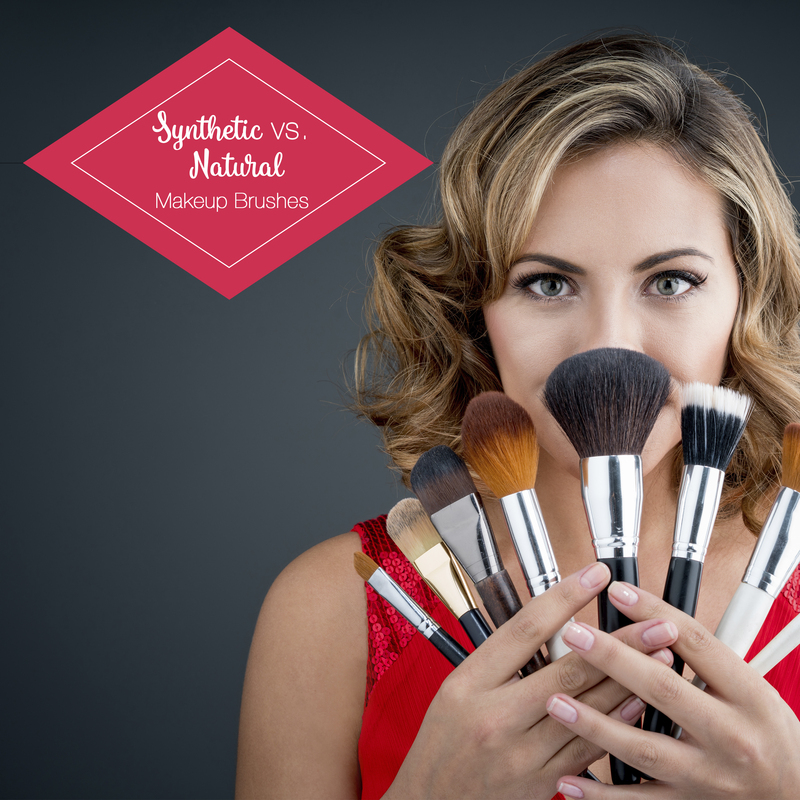 To put it simply, there are two categories of makeup brushes based on hair type: synthetic and natural. Synthetic brushes have bristles made from man-made materials such as nylon, polyester or other synthetic fibers. Because the synthetic bristles don’t contain cuticles, they are less absorbent and won’t soak up too much product – making them ideal for liquid or cream products. The fibers are also able to last through repeated cleanings and are less likely to shed! Perfect for blending foundation or other liquid formulations. One of our best-selling synthetic powder brushes! The dense bristles of this brush are perfect for an even application and blend. 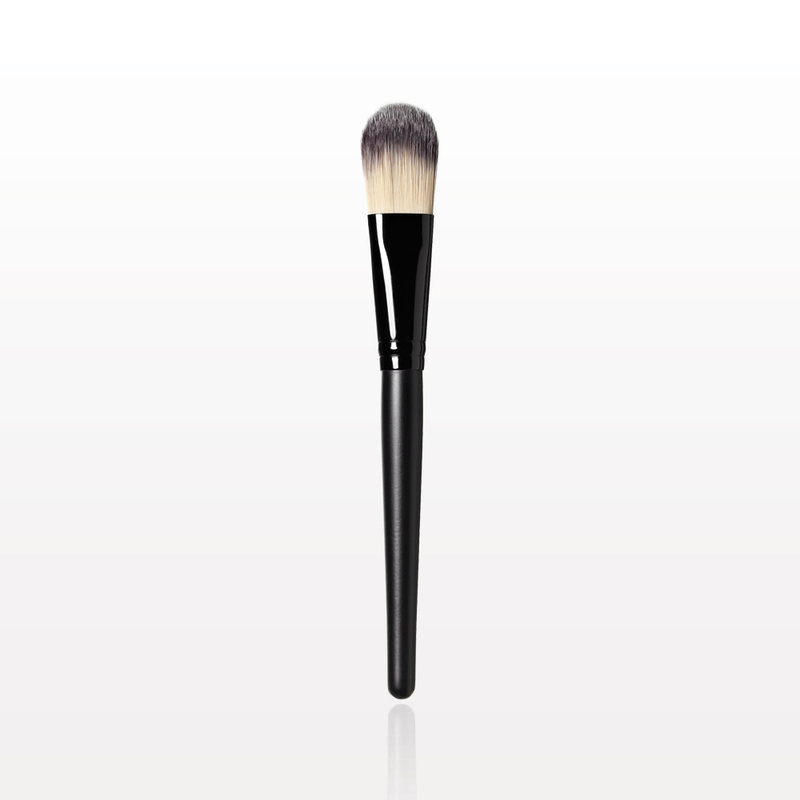 Use this high-quality tapered brush for foundation or other liquid products. 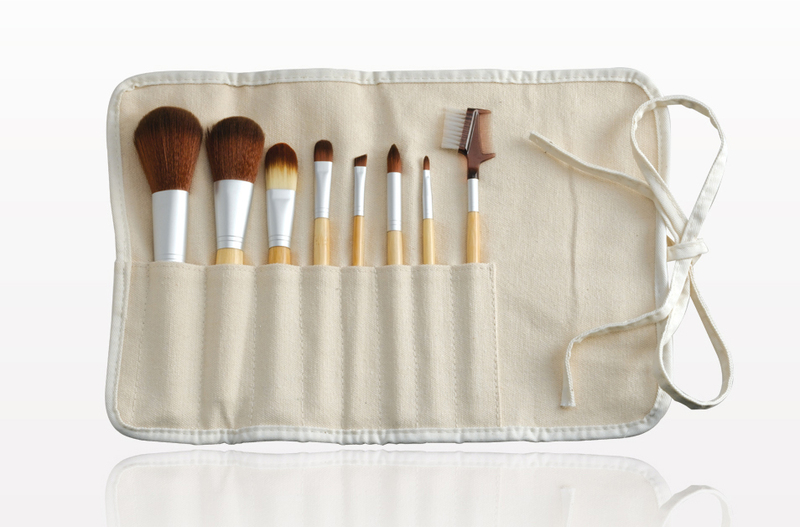 For a complete set of environmentally friendly brushes, our eight piece collection of synthetic brushes is a go-to! Each brush in the set plays an important role in the makeup application process. Unlike synthetic brushes, natural hair brushes are made with different animal hairs and furs (squirrel, goat, sable etc.). Squirrel and goat hair tend to be the softest – this is why you’ll find that most larger face brushes like powder, blush or blending brushes are made from it. Sable hair is often used for smaller, tapered brushes. The cuticles in the natural hair allow the bristles to pick up product and blend it seamlessly – making them the best to use for powder-based products. Due to the labor and sourcing involved in the production of these brushes, they tend to be more expensive. And while there is a concern for animal cruelty, many companies assert that their brush hairs are obtained humanely. 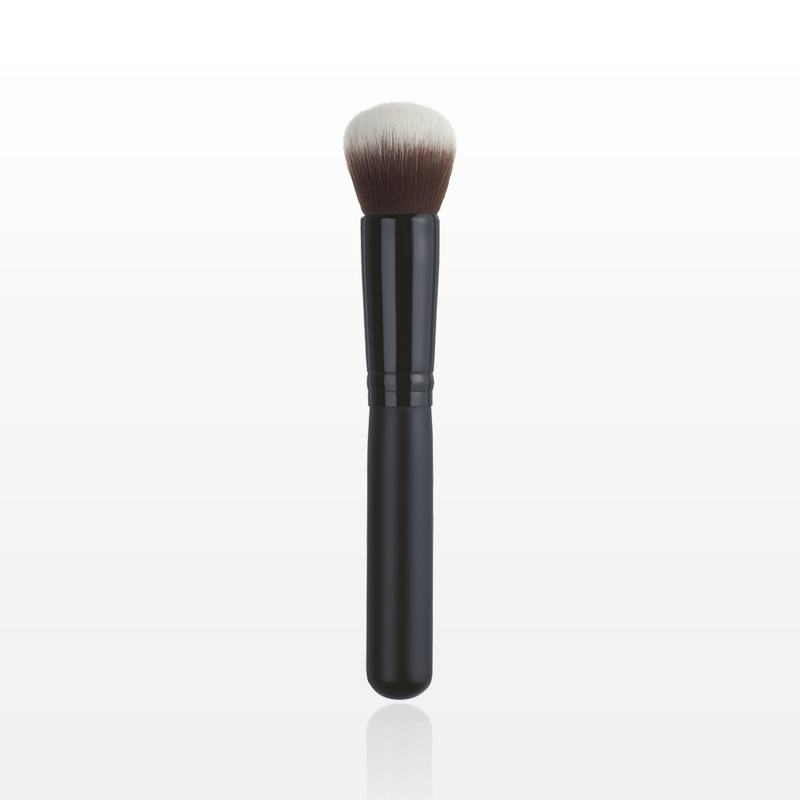 The stiff bristles in this brush will keep brow hairs in place and apply product seamlessly. Perfectly apply highlight or bronzing powder with these natural fan bristles. 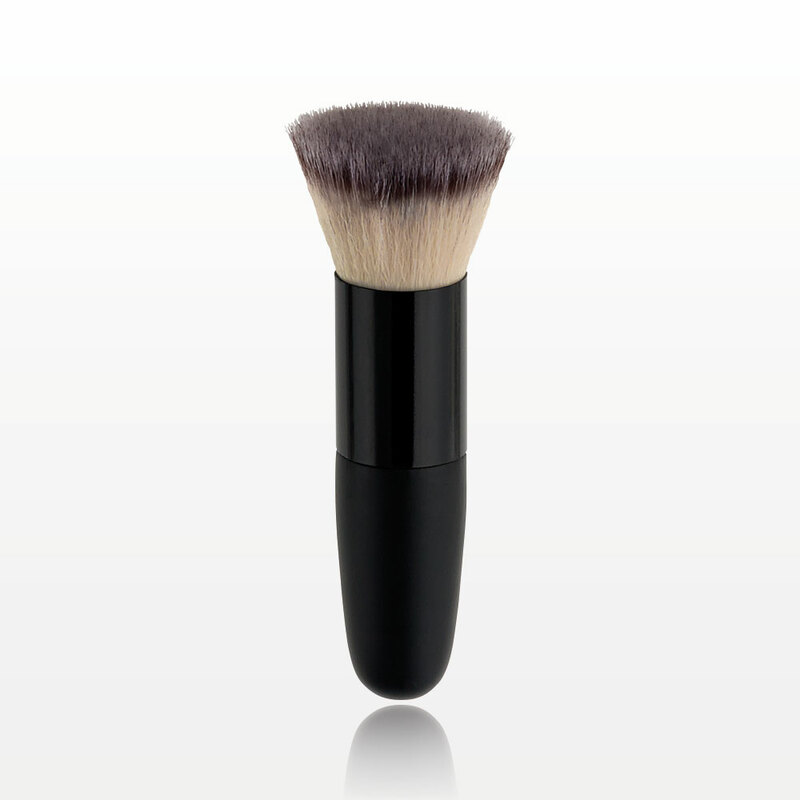 Made with goat hair, this brush will evenly apply your powder products. 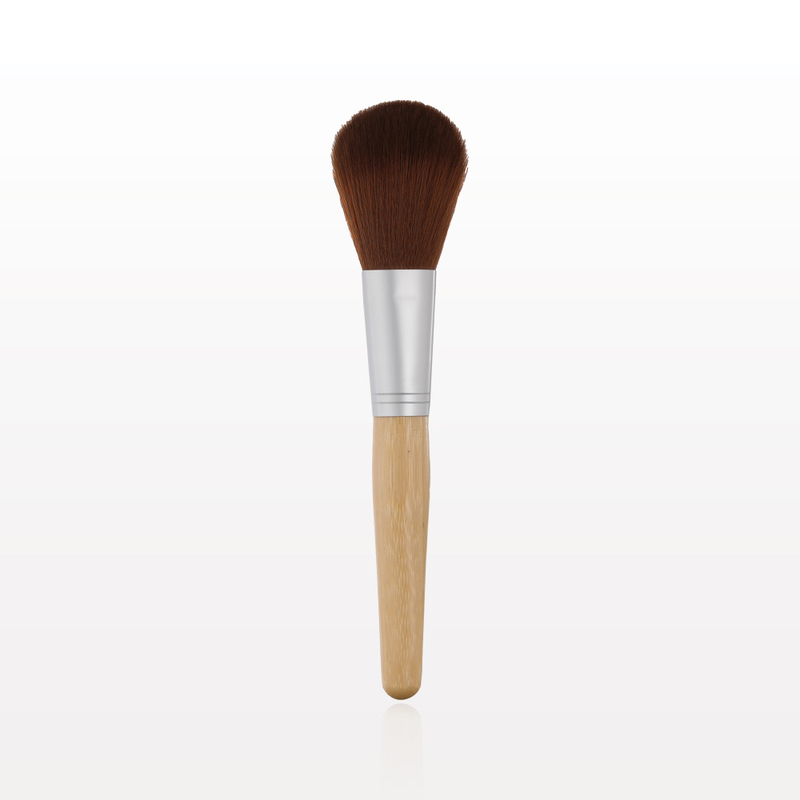 Achieve the perfect eyeshadow blend using this crease brush, made from squirrel hair. As for a difference in makeup application, it’s typically thought that the two types of brushes can’t be compared and that they’re both necessary for a full face application. 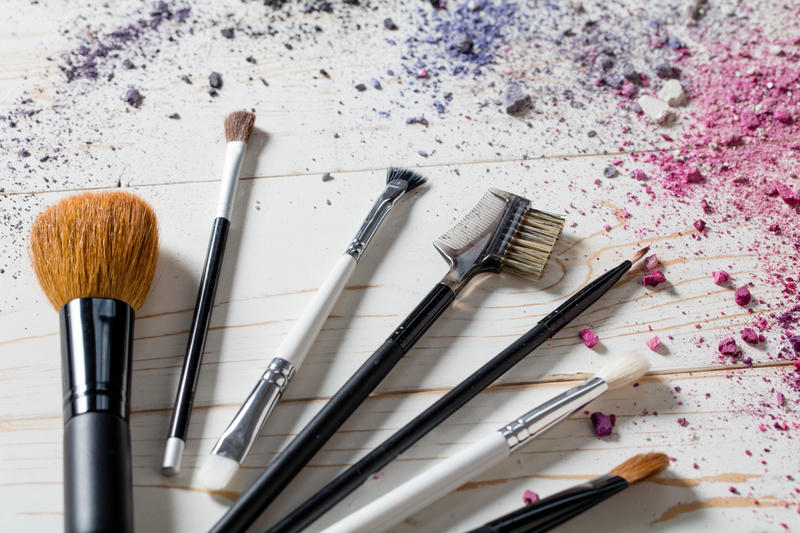 While modern technology has allowed for synthetic brushes to feel and act almost natural, lots of makeup artists still have a mix of both types in their kit. Both synthetic and natural brushes serve different purposes, and ultimately it is up to each individual artist’s preference. Use what you’re most comfortable with! Continue the conversation – Show us your favorite brushes by tagging us @qosmedix on Facebook, Twitter or Instagram!